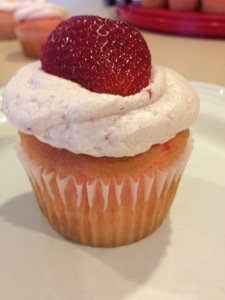 Oh so good Strawberry Cupcakes( with the best frosting ever!) | ...and another cup of coffee. « FREE drink at Starbucks, Print coupon before it’s gone!